Yes we CAN CAN CAN! We love to eat our apple sauce with oatmeal as a nice substitute for sugar or on a nice piece of warm toasted bread…Ummmmm. Love It! I also use it when I am baking vegan cupcakes. It provides a nice moist texture to baked goods without the dairy or eggs. There you have it! 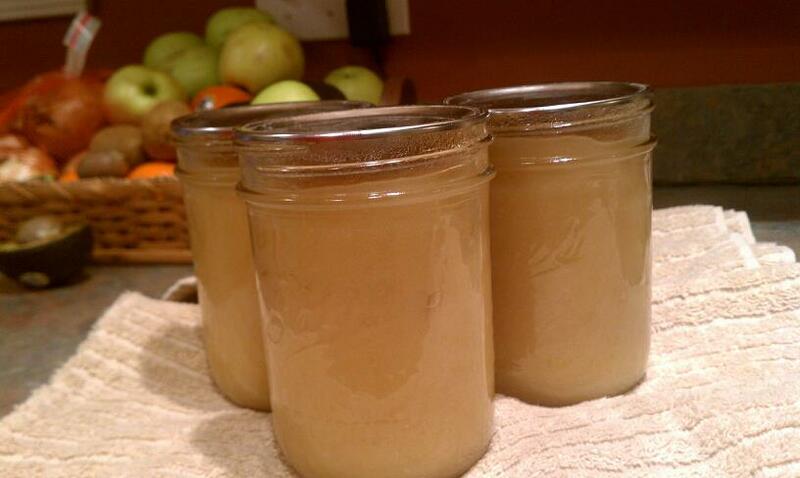 Home made apples sauce! I have a lot more to do and many more things I want to try. If you have a canning recipe or food you like or want to try and can, send it to me and we’ll try it out. So proud of myself…now let’s hope we don’t eat up all the stash before summer, LOL. Hugs and remember…..U R LOVED!